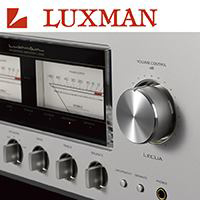 High quality integrated amplifiers are a hotbed of audiophile activity these days. Thanks to improved manufacturing techniques, and in the case of a company like Esoteric, their ability to call upon the same engineering team that builds $50k (each) digital audio components, the $7,500 F-07 integrated amplifier makes perfect sense. Before the first track is played, this easily looks like a $20,000 component on the rack. The exquisitely machined chassis, elegant controls, and gentle blue backlit front panel all declare quality, high quality. If that doesn’t convince you, pick it up, the F-07 weighs 60 pounds. Too enthused to read the manual or pour over all the specs, the F-07 is quickly connected to the Quad 2812 speakers for a test drive. 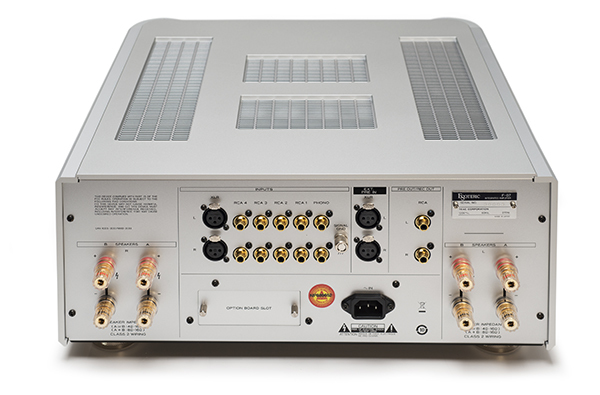 Even from cold, this 100-watt per channel integrated entices. (it does produce 170wpc into 4 ohms, nearly doubling it’s rated power) The recent vinyl release of Crowded House’s Woodface fills the space between and beyond the boundaries of the Quads, which can be notoriously tough to drive, because of their highly capacitive nature. Did I mention? The F-07 includes a built-in, dual mono MM/MC phonostage that is anything but an afterthought with a fixed loading of 100 ohms – perfect for my Zu Audio modded Denon DL-103r cartridge and the latest Technics SL-1200G table we reviewed last issue. The MM section is equally enticing, paired with the Gold Note Machiavelli cartridge. This on-board phonostage only features one input, with MM/MC selection on the front panel. Even moving up to the Ortofon Cadenza Black MC proves the F-07 up to the task, this amplifier will be at home with turntables costing as much or more! Nothing in the F-07 is an afterthought. Digital lovers wanting an inclusive option can add the Op-DAC-1 DAC board in the accessory slot on the rear panel. 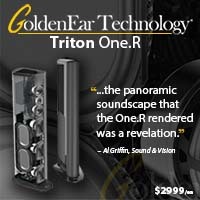 This DSD capable DAC will only set you back $1,100, keeping the total package price of an F-07 with DAC under $9,500. Running through a long playlist of high-resolution tracks, the performance delivered by the F-07 is first class, and 16/44 performance equally involving. The delicate harmonies in Hall and Oates’ classic Abandoned Luncheonette are stunning, with all the elements of the recording having plenty of room to breathe. The harmonies in John Mayer’s latest, The Search For Everything prove equally enticing. Today’s bargain DAC’s offer a level of resolution that would have commanded a five-figure sum a decade ago, but the F-07s onboard DAC has a smoothness that you won’t find with a budget DAC. No doubt, this is a result of trickle down technology from their world class Grandioso D1 DAC. 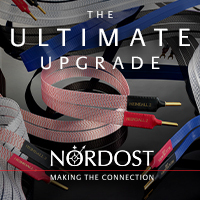 Bottom line, unless you are going to drop major cash on an external DAC, I suggest just adding the card and be done. The sonic signature of the F-07 is very natural. A well tempered, dual mono, class AB power amplifier, fed by a massive power supply makes for a dynamic presentation, that is free of coloration. The F-07 neither embellishes nor emphasizes what isn’t there. Sonically, this amplifier reminds me a lot of the Boulder amplifiers regarding “doing no harm,” but at a much more affordable price point. Bypassing the internal DAC and phono illustrates just how good the internal bits are, yet shows off what a fantastic amplifier the F-07 is. Moving to more dynamic music and giving the volume control a major twist clearly illustrates how much sheer oomph it offers, especially now paired with the Focal Sopra no.3 speakers, with a 91.5db/1-watt sensitivity rating. Even tracking through major rock and EDM tracks, the F-07 never gets more than warm to the touch, at ear shattering volumes. 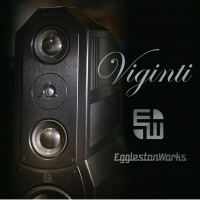 An equally impressive performance is given with the current MartinLogan 13A ESLs as well as the Graham LS5/9s. 100 watts per channel should be more than enough for anyone in less than a cavernous room. And the F-07 does offer a set of preamp out jacks so you can use it strictly as a preamplifier, driving a larger power amplifier. Regardless of the source, the F-07 is incredibly fatigue free. After many 8-12 hour listening sessions, I could always put one more record on, and that is the highest compliment I can pay this amplifier. While the majority of my test listening was done with the onboard DAC and phonostage, Esoteric’s Scott Sefton had to recall the DAC board, leaving the trusty Gryphon Kalliope ($32,000) DAC in its place. I’d be lying if I didn’t say that the Gryphon offers better digital performance, but the bigger picture is how well the F-07 responds, revealing a proportionate increase in resolution. A large slice of high-end audio heaven is yours with the F-07s internal DAC, but should the urge to upgrade still beckon, it has more than enough performance to keep you happy. Maybe the Esoteric K-07 SACD player? Excellent as the audio performance of the F-07 is, the level of human engineering on this product is equally great; it’s an incredibly easy integrated to live with and use day to day. The controls are well distributed on the front panel, with input and volume controls larger than the rest to command attention and secondary controls at the ready. And yes, it has a pair of tone controls that work incredibly well, only giving a gentle nudge to the opposite ends of the frequency spectrum. (+/- 12db @ 63hz and 14khz, respectively) I found these very helpful with records featuring less than optimally mastered. 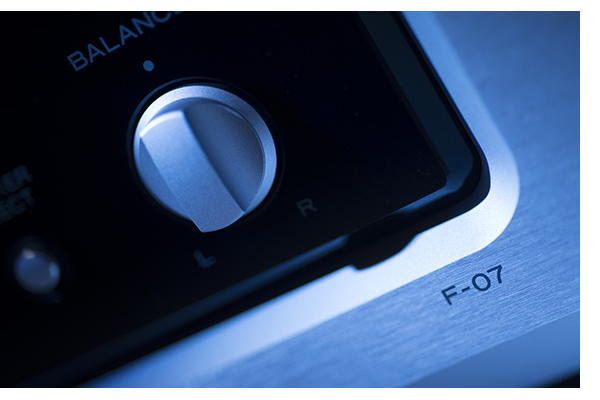 Audiophile purists can grouse about tone controls all they like, I’m enjoying the ones on the F-07. The rear panel has all the inputs and outputs equally distributed, with four single-ended RCA and one balanced XLR line level inputs. Considering that you already have an on board phono and the potential for a built-in DAC, the F-07 should be able to handle any compliment of ancillary component you might have. In the best tradition of Japanese integrateds past, there are even two speaker outputs. Last but not least, a headphone amplifier is included for those desiring personal listening sessions. Auditioning a modest cache of phones’ from Oppo, Audeze, B&W and Grado shows that like the phonostage, the headphone section is not an afterthought, either. 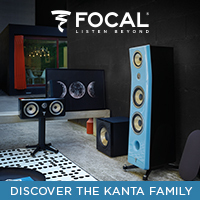 No matter what set was chosen, the F-07 delivers a large soundstage along with the ability to control the presentation. Bass generated was excellent, the deep bass line in Prince’s “Here on Earth,” indeed impressive, with force and control. Is it the one for you? Whether you are a seasoned audio enthusiast, that is perhaps downsizing and would like to have the sound and functionality of a big stack of components in a more reasonable sized enclosure, or the music lover moving from a basic system, wanting to achieve the same objective, the F-07 is a winner. Having the privilege of listening to the world’s finest components daily, I must admit to looking at the F-07 after a full day of listening, asking myself, “could I just take this, a turntable and one good pair of speakers and call it a day?” The answer to that question is yes. 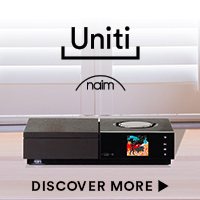 Everyone wants something different from their hi-fi system. And yes, there is more performance to be had from Esoteric’s flagship components. But I am a human being valuing balance above everything else. I’d rather have a new Miata than a Maserati. If that balance is your preference as well, I can’t suggest the Esoteric F-07 highly enough. Much for all the same reasons I love the Simaudio ACE integrated at $3,400; the F-07 is a similar component in the balance it offers. All of the components compliment each other and offer an equal level of performance, but the F-07 offers more in every way. I’m buying the review sample myself. The final note on the F-07 comes in the heritage behind the company. 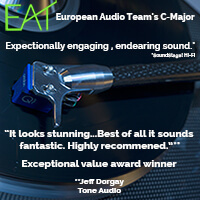 With TEAC being the parent company, the build quality is fantastic, and there is a world-wide dealer and service network in place to assure support. This is as good as it gets. I suspect those buying an F-07 of their own, will plug it in, turn it on, and just enjoy great music for years, if not decades. I am more than happy to award this amplifier one of our Exceptional Value Awards for 2017 – it embodies all the values we hold true at TONEAudio.